The Government’s new green ‘stealth’ tax could end up pushing thousands of households into fuel poverty, which could potentially give climate policies a bad name. That’s according to the Institute of Public Policy Research (IPPR), one of the UK’s leading progressive think tanks. 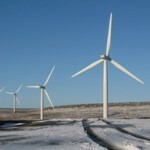 The green ‘stealth’ tax – which is due to be implemented in 2013 – is designed to encourage investment in low carbon energy projects, such as wind, wave and nuclear power, and raise billions for the Treasury in the process. But according to research undertaken by the think tank, the Government’s carbon floor price policy, which was announced in this year’s budget, could not only add £1 billion to energy bills and push tens of thousands of households into fuel poverty, but could also have no effect on reducing carbon emissions. In their new report, the IPPR concludes that the policy may not encourage investment in low carbon energy, as the Government hopes. Under existing rules, energy providers must generate a fixed amount of green energy every year, or else buy permits to pollute on the open market. The new policy will prevent the cost of these permits from falling, and from 2013 the ‘floor price’ to emit a tonne of carbon will be set at £16, rising to £30 by 2020. The IPPR believes that expensive carbon prices in the UK will lead to lower prices elsewhere – and won’t reduce the amount of carbon emitted. According to the think tank, it’s more than likely that energy firms will pass on the cost of these rises to consumers. With 5.5 million households already in fuel poverty – compared to only 1.4 million in 2004 –the IPPR estimates that 30,000 to 60,000 more households will be pushed into fuel poverty. “The carbon price support scheme risks giving energy and climate change policy a bad name because it will do nothing to reduce carbon emissions, while piling more cost on to the shoulders of already hard-pressed consumers in the UK,” said Andrew Pendleton, IPPR associate director.